The Leica SL was predicted in some quarters but was a surprise for others. As a mirrorless camera, it marks a move away for the company from the use of the rangefinder or an optical viewfinder. 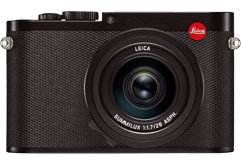 Instead, the Leica SL adopts one of the highest-resolution electronic viewfinders to date and marries this with a completely new body and lens mount. It also has a 24-Mpix full-frame CMOS sensor similar to that in the earlier Leica Q. Read on to find out how well this camera with its intriguing new system performs.